All Corner Cubby Coat Racks feature sturdy double pronged coat hooks. Lip on Corner Cubby Bench can be modified to place multiple units next to each other. Lip adds .75" to each side of bench. 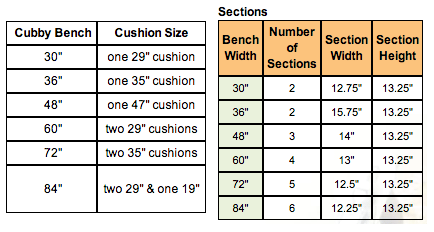 Backs add .25" to length of each side of Corner Cubby Benches / Racks. Cushions are all 3" high. 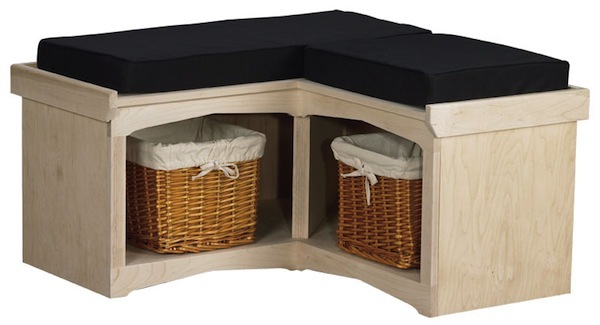 Two cushions needed for Corner Cubby Bench; use one 35" and one 19" cushion.